The new epoxy resin key fob is here in a combination of black, blue and red. 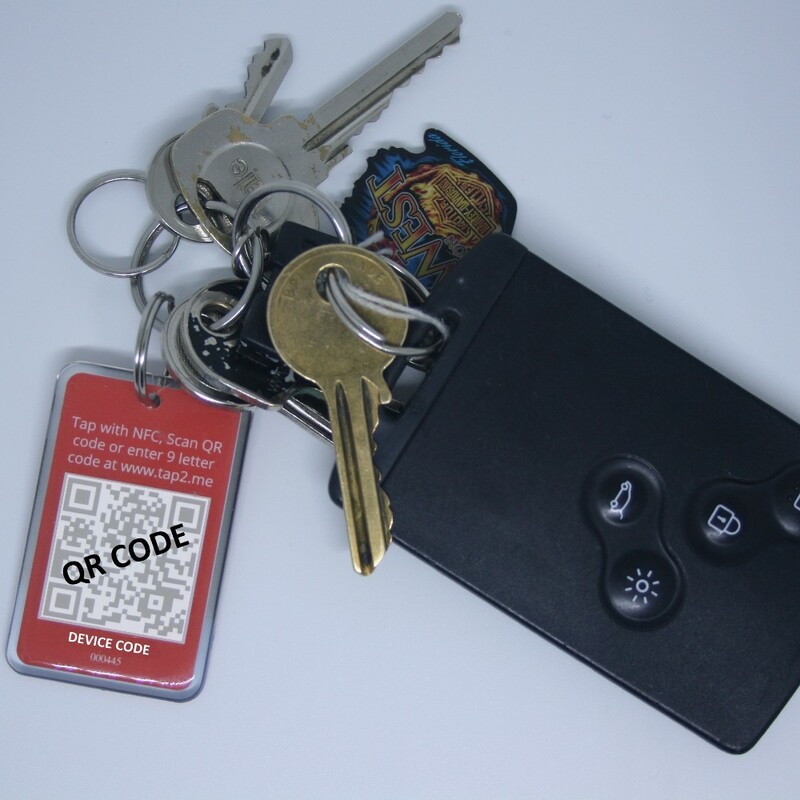 Our new design of key fob is now more durable than ever including an epoxy resin coating. 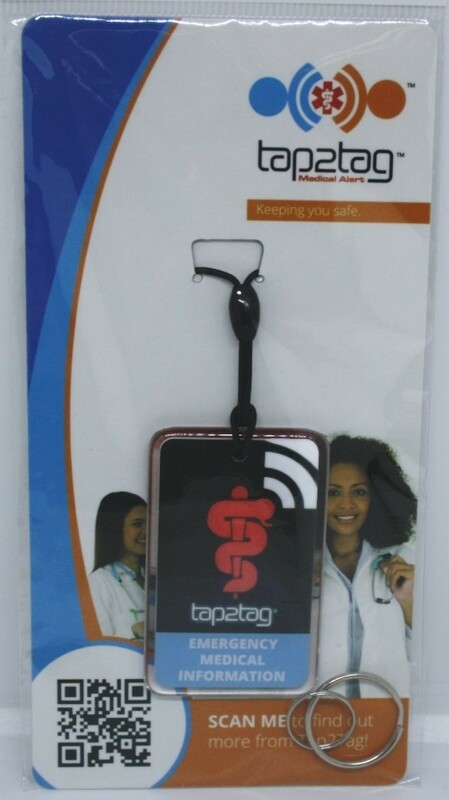 The front clearly indicates that this is an emergency key fob with a clear, red medical symbol of the snake and serpent. 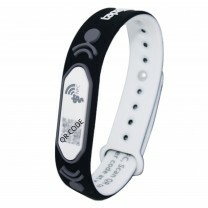 In addition there is a unique QR code that links to the same medical information as the internal chip. 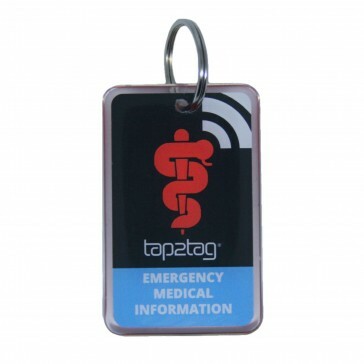 The words "EMERGENCY MEDICAL INFORMATION" is also printed on the front of the fob. 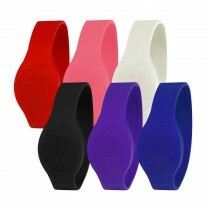 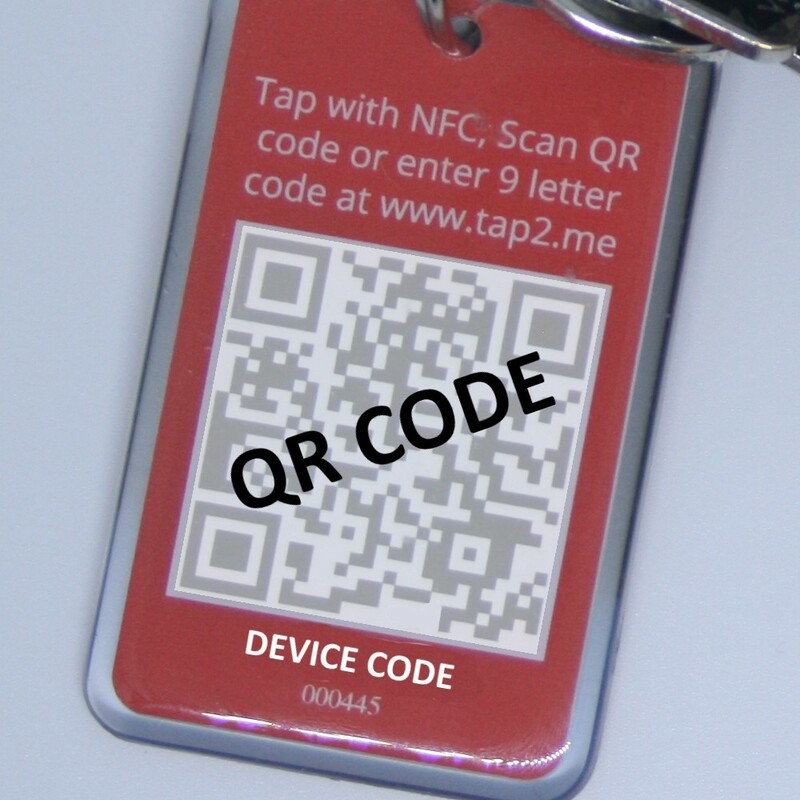 On the reverse of the band is the phrase "ENTER [CODE] AT WWW.TAP2.ME". 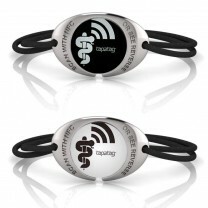 These key fobs are tough, really tough. Completelly waterproof and with a clear epoxy resin covering they will ensure the durability of the fob for a long, long time. 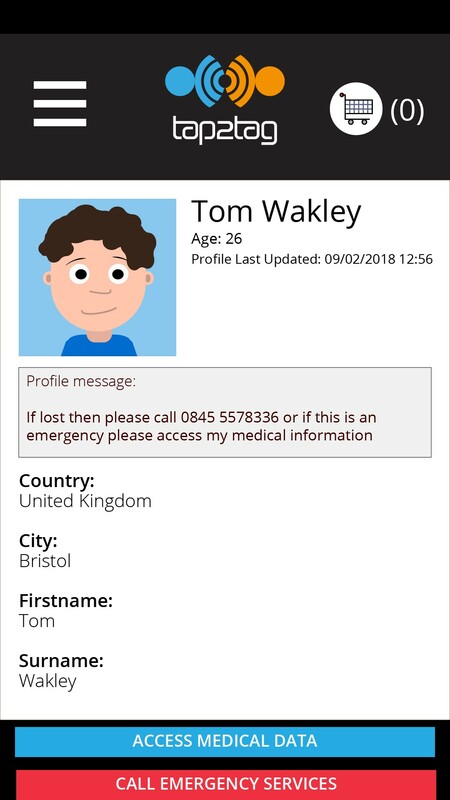 We suggest that anyone with a hidden medical condition, rare blood type or just want to be able to tell people who to contact in the case of an emergency should have a medical device. 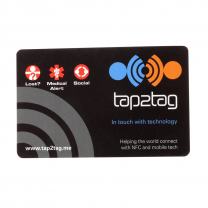 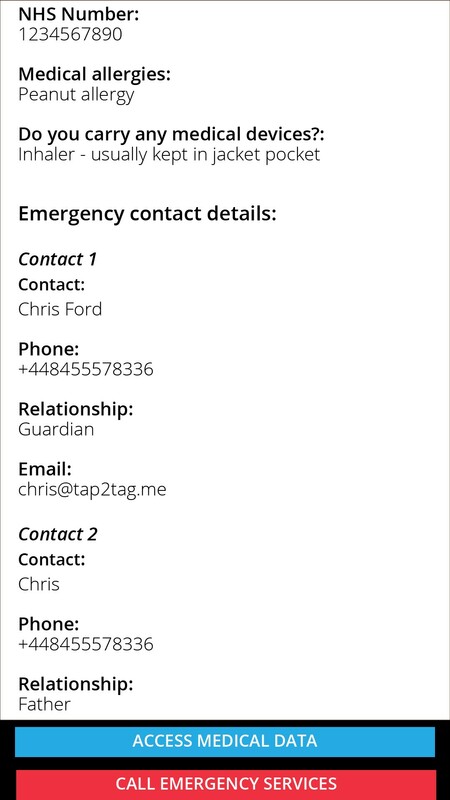 The Tap2Tag Medical key fob provides a simple, cost effective, durable and extensive method of meeting your medical requirements.